Kwfinder is a most top keyword research tool, and It’s not only keyword research tool it has also more new latest algorithm related SEO features. Kwfinder helps you to make your SEO tasks easy. Most people are using kwfinder to analysis their competitors on page SEO because it has more features to report on page SEO than keyword revealer. It also has some features like Moz da pa and also majestic tf cf which help you to make it all in one SEO tool. This tool was offering free trail before but now closed due to too much spam of tools group buy sellers which reduced their primary customers. But they give discounts on yearly price. The price of kwfinder is starting from $29.90/month but the best tool for SEO workers for keyword research. Keyword Revealer is a keyword research tool but not only keyword research tool, but also have too many features like emd domain finder, domain straight checker, social signal count and competitor on page tester. The competitor on page tester helps you to make your on-page easy that how much your competitor did on page SEO? Its tell you everything that does top 10 sites have the keyword in their h1 tag? 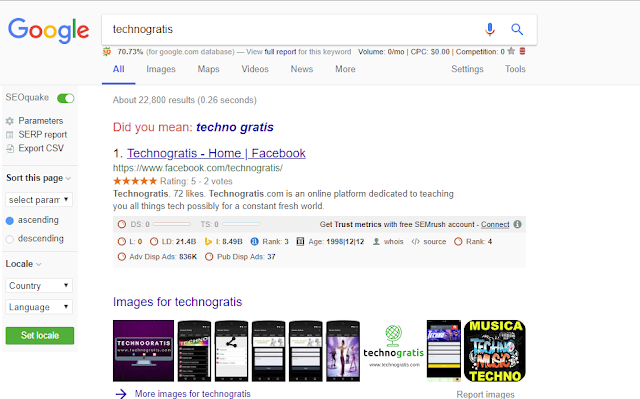 Does competitor have the keyword in their URL? Does competitor have the keyword in their title? Etc. It’s one of the best tools in the market, but fewer people know about it. The price of Keyword revealer starting from $9.99/month easy to affordable for SEO workers. Semrush is the best tool in the market not only best its perfect tool for SEO, But It also has too many features for analysis competitors on page SEO and keywords, the Best feature most people look on it its traffic analysis of competitors, which help you to analysis competitors power and your power of Onpage and Offpage. Semrush has introduced about magic keyword tool which makes your keyword research easy. This tool also has backlink analysis tools and all tools that SEO workers need so you can tell this tool a giant SEO tool in the market. Semrush has also had its own 200 factors pdf file which helps SEO workers what we need to do for the latest algorithm. This tool was offering 30 days free trial before but now its closed they don’t provide free trail now due to same what happened with kwfinder that tools group buy sellers did too much spam with their free trial, and they lost their regular customers because they bought this tool from the group buy sellers. The price of semrush starting from $99.95/Month, Its little bit expensive but its all in one SEO tool with all features for keyword and competitor analysis. Can I Rank is a new tool in market fewer people know about it, it has the new latest feature which is called “VS.” This feature helps you to analysis your competitor’s on page and off page vs. Your on page and off page SEO. Not only this feature is new there are a lot of new features they release weekly and also help you to do tasks to improve your website ranking. This tool also suggests you a list that which keyword you should target which not. Because everything depends on you and your competitors straight for high competitive keywords, you need to increase your straight everything this tool will suggest you don’t need to be the worry. Yes, can I rank offer free trial but they use secret bots which can identify your card quickly and If you use any fake card they cancel your account without any warning they only accept real credit cards for the free trial account and they offer the free trial for seven days only. The price of can I rank starting from $49/month, Its regular price but this tool helps you with too many features one time you use it, and I am sure next time you will not need any other SEO tool for use. Ahrefs is also the best tool in the market most people only believe it’s just for backlinks analysis but it’s not because ahrefs even update with latest new feature depend on the algorithm, You can audit your website via ahrefs and check keyword ranking also can check why your keyword are dropping, etc. 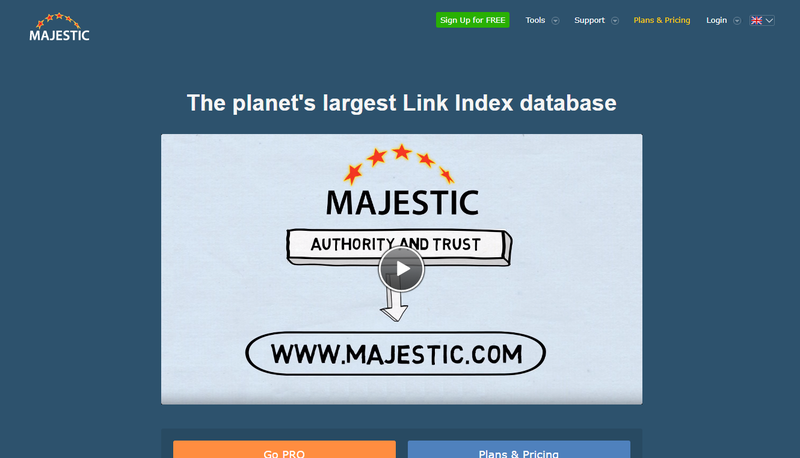 Nowadays ahrefs also help you to find domains that have backlinks from authority websites. Ahrefs has introduced a new feature which is the “Top Page” which allows you to see competitor’s top keywords but not only competitors there is magic to get traffic from authority websites. Let’s discuss it. Ahrefs was offering the free trial before they also closed due same what happened with semrush and kwfinder but they reopened their trail but not free they charge $7 for seven days trial. The price of ahrefs starting from $99/month same price as semrush but ahrefs is the best tool for backlinks than semrush as above I have written ahrefs. Majestic is a giant tool in the market after Moz because mostly after Domain and Page authority mostly SEO workers also look at that how much google trust on your competitor how much trust flow they have? You need to increase more confidence then competitors to increase your ranking in the market; you can improve your trust flow by improving yours on the page and off page SEO. Majestic was offering the free trial before, but currently, they have closed their free trial due to same what happened with ahrefs, semrush and kwfinder. The price of majestic is $49/month it’s the reasonable price from other tools, but the most essential thing in this tool is you can check trust score of your and your competitors in search engines, There is also a feature of CF which is citation flow means how much citation sites like yahoo book, white pages, yellow pages, yelp, and other business directories trust on you and your competitors you can compare both and you need to increase your confidence on both TF and CF. Spyfu is also the best tool in the market to analysis competitors, but fewer people know about it because its little bit expensive but perfect tool to find grouped errors means each error will be sort in the group, so you quickly find your mistake in the on page and off page SEO and fix it. The price of spyfu starting from $39/month, This is regular price, but spyfu is also the best tool to find competitor’s grouped data like they have backlinks from comments, so spyfu helps you to find backlinks from comment group also same as if competitor have backlink from forums, so spyfu help you to find backlinks from forum group, Everything is group based on spyfu, Best tool ever for competitor analysis. Woorank is the only tool in the market which analysis your on-page SEO easily without having the account and tells you mistakes and missing techniques in on-page SEO, but woorank also have pro account which helps you to find a way to fix high priority errors fast. Yes, woorank offer 30 days free trial they also use secret bots which can quickly identify if you are using the fake card, they only accept real cards. The price of woorank is starting from $59.99/month which cheap than semrush, ahrefs, and Moz but this tool is only for on-page analysis this will not help you to analysis backlink try other tools. Moz is not only best tool in the market but its giant tool in the market because this an only tool which helps us to identify how much domain and page authorities we have, after page rank is removed by Google. Moz also has features to audit your website’s on page mistakes and analysis backlinks vs. your competitor backlinks. After page rank is dead mostly SEO workers were shocked that now backlink creation will be the stricter task for them. Moz CEO “Tim” introduced Domain authority and page authority which made SEO workers backlinks tasks easy. Every SEO knows that Google doesn’t have any relation between DA and PA. It’s just released by Moz to get an idea of how many on straight competitors have. Yes, Moz offers the free trial but they use secret bots which can quickly identify if you are using fake cards, They only accept real credit cards for the free trial. The price of moz is starting from $99/month same price as giant tools like semrush and ahrefs but recently moz has shut down their free tool site explorer where SEO workers check their domain and page authority and spam scores these features are moved to a new tool link explorer and link explorer is with paid membership you can’t access free. Update: Moz has recently added monthly ten free queries for the tool called link explorer, Free members can search their Moz domain and page authority free ten times In a month. SEOQuake is an extension of browsers like chrome firefox and opera, etc, It helps SEO workers to find straight of competitors when they type their keywords in the search engine it will show you metrics of on page, and off page SEO your competitors and its free extension every SEO worker use it. SEOQuake is the free tool in the market, its used as an extension of browsers its help you to find metrics of competitors like Alexa, domain age, etc, This tool also helps you to see the specific country based search result you can search it from the left sidebar country section.